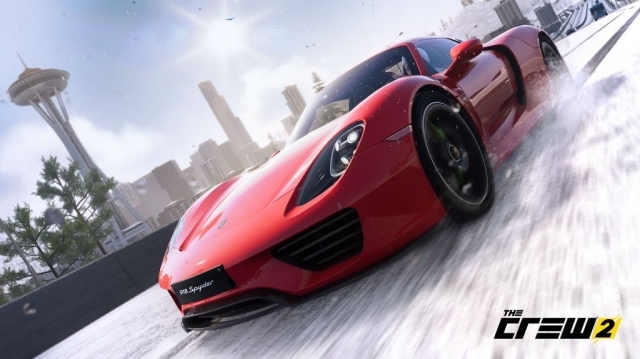 The Crew was a huge release when it first came out towards the tail end of 2014 – but failed to live up to its full potential. Its holiday release window seemingly led to a rushed release that left a bad taste in people’s mouths – even though the game itself was solid, it was lacking something to make it a top-level game. The racing itself never felt perfect – with vehicles that seemed a bit too heavy and loading times that got in the way of the action. A cumbersome menu system didn’t help matters either – but Ubisoft did make great strides to improve the game after its release and we’re seeing the fruits of that labor truly pay off with the sequel. With the first game, it was a matter of it being too little, too late to get it to the success level it could have achieved. 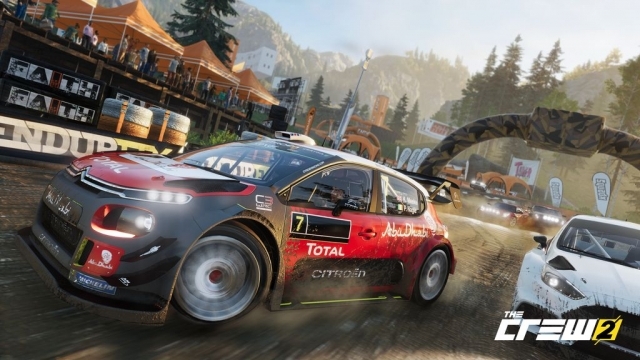 With the sequel, Ubisoft fixed up the racing and greatly expanded the types of racing you can enjoy. The first game made the mistake of focusing too much on a plot, and while there is still one here, it doesn’t overdo it. It’s a simple storyline focusing on doing your chosen character’s path to greatness as part of a rag-tag bunch of racers. You’re a united front as a team, but are also all about “Xtreme” lifestyles and trending – so it’s a bit of the mid ’90s meeting with the early ’10s. The whole focus on trending reeks of Blur, and makes the game seem a bit behind the times – but at least it isn’t going for an action movie story that tries to do too much and fails. Fortunately, while the storyline aspect of things remains a bit iffy, the core racing action has been improved quite a bit. Instead of it feeling like you’re controlling overly-large vehicles, every vehicle type handles reasonably well now. Now, when you expand things from cars and trucks to a variety of cars of trucks alongside disciplines like off-road racing, street racing, motorcross, boat racing, and even plane racing, you’re going to have a heck of a skill ceiling in place. Learning each type of race can be tricky – especially when it comes to planes. While Pilotwings veterans may not struggle with it much, newcomers to video game flight may have a tough time getting used to not only having to fly – but do so at odd angles to get through checkpoint gates. Boosting is a good thing to have for most racing types, but having it here can make things more disorienting and add a wrinkle to the mix that doesn’t need to be there. Fortunately, you don’t have to use it – but you will eventually want to if you want to progress. 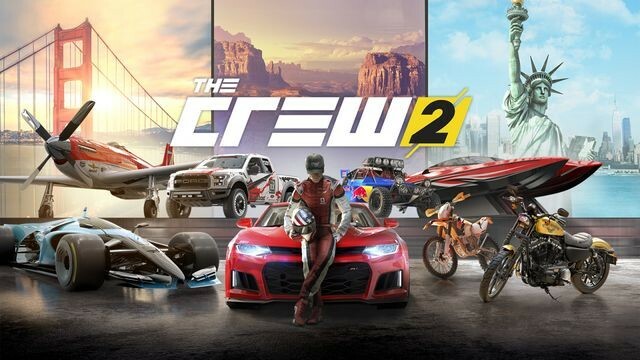 The Crew 2 aims to do everything a racing game can do when it comes to genre variety, and results in a bit of a “jack of all trades, master of none” game. The buffet approach means there’s always something to do, but if there’s a genre of racing you don’t like, you’ll be stuck with it anyway just to keep things moving along. Fortunately, if you have something you don’t like, you can at least avoid it for the time being. The Crew 2, like the first, features a greatest hits version of the US to explore – which is cool. Now that there’s more to do, it does allow places like Miami to feel a bit more realistic. The racing quality does vary a bit from genre to genre. Street and off-road racing feels fantastic, while boat racing seems a bit too floaty. With the game’s action-centric racing, I was expecting something more akin to Hydro Thunder Hurricane when it came to controls. Instead, the boats all felt very weighty – which made the big jumps feel less impressive. Now with the off-road racing the extra heft feels good since you’re going to be bumping up against other racers and that holds true with the street racers too – but it feels off for the boat racing portions. Planes feel fine, as do motorcycles. The shift to so many kinds of racing types also makes it feel unfocused – which is a natural problem when you’re doing so many different things in a single game. Visually, The Crew 2 is an impressive game on the whole – with better overall texture work on the vehicles and environments than the original. Unfortunately, like many games, there are some concessions made to the ground textures that hurt things. Luckily, when you’re in the air or in the water, you won’t notice. The choice to use character models for the storyline instead of CG hurts things as well, with minimal animation for them and generic models that lack any real feeling. The detail work on the world itself makes things seem more alive – even when problems present themselves like previously-destroyed parts of the environment popping back up quickly. There are definitely some indicators that The Crew 2 needed a bit more fine-tuning in that regard, but it’s nothing a patch can’t fix up later on. The game’s sound design is good when it comes to the vehicles, and a bit iffy elsewhere. The in-game acting is perfectly functional but that’s about it, while music is fast and gets your blood pumping briefly – but never sticks in your head. 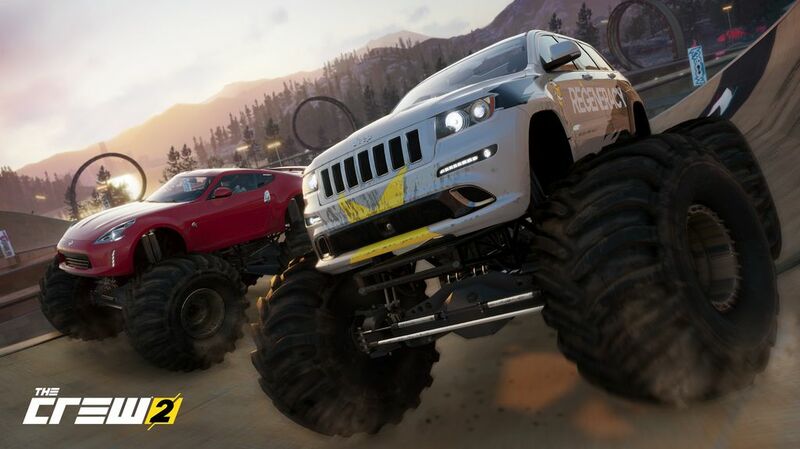 Vehicular contact either with the environment, large buildings, or other vehicles sounds damaging though – which is fantastic given how many rivals you race against. The chatter from your teammates over the in-game radio sounds clear, even if the content of what they say is usually nothing more than fluff. The Crew 2 is a notable improvement over the first game in some ways – but also feels like a step back in others. While the original’s plot wasn’t great, at least it gave the game a clear vision. Now, without that, you have a directionless sea of all kinds of racing content available – but it’s an almost overwhelming amount of choice. There’s something for every kind of racing fan, but this lack of focus has led to it technically representing a racing type but not really being the go-to option for it. The blend of ’90s “xtreme” culture with more early-decade non-stop trending culture is an odd one too and it feels like the development team just threw every possible idea for the game into the mix and tried to find a name for it all later. The racing itself is reasonably good as are the graphics – despite them having a lot of little flaws. The sound design is solid, but the soundtrack lacks any soul and that holds true for the voice work. Still, it’s a fun time and fans of many kinds of racing will find something to enjoy. This review is based on a digital copy of The Crew 2 for the Xbox One provided by Ubisoft.